Editor’s note: This is part two of a series where we highlight the challenges and immense power in embedding video in email. Make sure to catch the first installment, where we explain how to work around common obstacles and add video to your emails. Video has been permeating nearly every digital marketing channel for years. But email, one of marketers’ most reliable workhorses, has resisted that trend. Innovative technology has finally opened the door for email programs to deliver real, streaming video straight to the inbox—for massive success. Now the world’s most innovative email marketers are using the excitement and vibrance of video to improve engagement and conversion rates. Use their example for inspiration to surprise and delight your own customers and create a more compelling experience. Alfred Dunhill Limited (Dunhill) wanted to generate more interest in the upcoming Fashion Week in Paris, and specifically, its participation in the prestigious Men’s Fashion Show. The company’s marketing team came up with a great idea: to promote these events using embedded and live streaming video. Yet the actual execution was still an obstacle. Dunhill did not have any in-house developers or other technical resources capable of embedding video in emails. Overcoming this challenge was actually much easier than Dunhill expected. 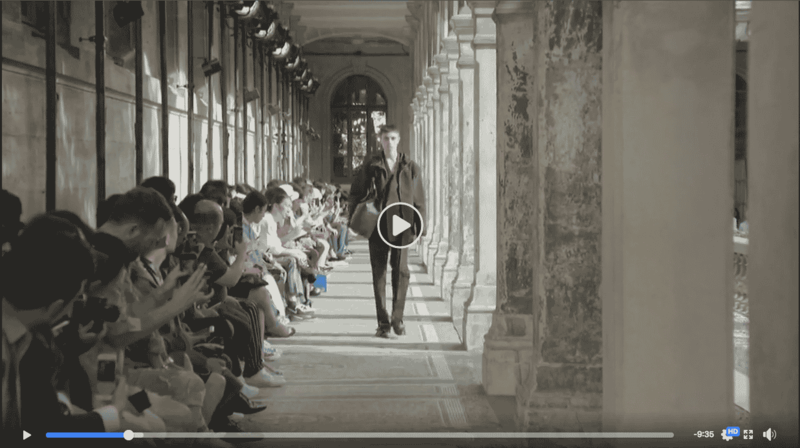 Using LiveVideo, an easy-to-implement email element, the marketing team easily embedded a feature video to generate excitement for Fashion Week. The video was delivered as a seamless part of the email itself and created a surprising new experience that really caught recipients’ attention. Dunhill did not stop there. The marketing team created a second email that also used video in an innovative way, but this time with a twist: The email featured a LiveTimer element to count down to a live streaming video of the actual event. The final email contained a recording of the fashion show as well as product images and the option to click for even more highlights. It was wildly successfully. In this case, using video helped Dunhill achieve a 17% increase in unique clicks (over a previous show promotion) and a 35% increase in total reach. Key Takeaway: Think bigger than prerecorded video. Live streams in email bring immediate relevance to a whole new level. To learn more, download the Alfred Dunhill Limited case study. The MS Society recently wanted to create more engaging email content for its holiday email campaign. Past email campaigns hadn’t produced the donation results the MS Society was hoping for, so the organization was ready for a change. The MS Society created an interactive video for its annual “Christmas Appeal” holiday campaign using Liveclicker’s LiveVideo advanced email experience. This video highlighted the most compelling reasons why recipients should contribute and concluded with a “donate now” link. Where embedding video in email was once considered a technical feat, the MS Society was able to do it easily. This new experience delivered some significant results. Powered by LiveVideo, the Christmas Appeal campaign was much more engaging and much more effective. MS Society achieved a 70 percent uplift in total donations over the previous year and created one of the best email-led campaigns the MS Society conducted. Key Takeaway: Make your video content a two-way street. Giving email openers the opportunity to interact leads to incredible engagement levels. Download the MS Society case study for more information. To create excitement and interest, Celebrity Cruises sends daily “Exciting Deals” emails. While effective, it recently wondered what it could do to enhance these messages and improve customer engagement and responses. A brainstorming session quickly brought up the idea of using embedded video in these emails. Such an approach would make good use out of the many exciting promotional videos Celebrity was using. Yet the marketing team had one goal: it wanted to deliver this content inside the emails—as opposed to requiring recipients to access videos on YouTube—to maximize the experience and driver engagement. Liveclicker’s LiveVideo experience was exactly the solution Celebrity Cruises had in mind. By including video content directly within emails welcoming new subscribers, the company achieved a 97.2 percent lift in click-through rates (as compared to previous welcome emails). Key Takeaway: Don’t forget new subscribers. Greeting a customer or registrant with video in the very first emails they receive will get them excited to open more in the future! To learn more, download our Celebrity Cruises case study. We hope these examples will inspire and motivate you to add video to your next email marketing campaign. It’s not as hard as you think, and chances are that it will give you a powerful edge over the competition.